This gift set features one of each of our most popular flavours – milk chocolate, dark chocolate, salted caramel, and Sorrento orange. Each stirrer is handmade using pure luxury chocolate, individually blended by our chocolatiers to enhance their distinctive flavours. Simply stir into mugs of hot milk to make four deliciously different hot chocolate drinks. With a selection of pure and flavoured chocolates in a range of cocoa percentages, this set makes a wonderful introduction to the world of luxury hot chocolate. We’ve finished each pack with a hand tied satin ribbon, creating the perfect gift for the indecisive chocoholic. With something for everyone, this set is also perfect for gift hampers, and thinking ahead to Christmas, a great solution for that tricky Secret Santa. 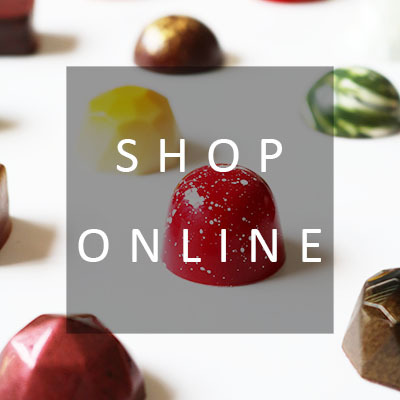 Find it in our online shop here. Want to know when we release new products? 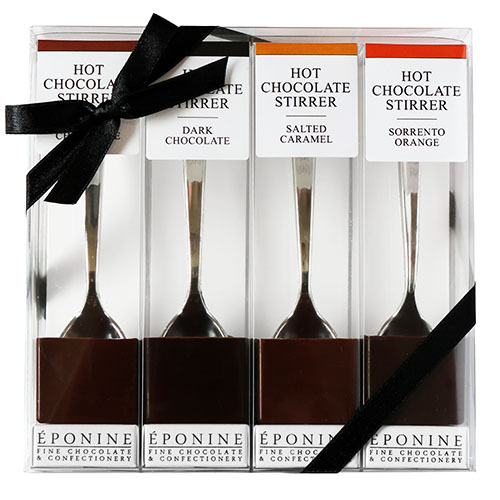 Subscribe to the Eponine newsletter and be the first to hear about all of our new products. You’ll also receive exclusive promotions and competitions throughout the year. Next post: Party in the…. garden?